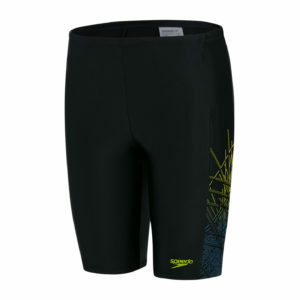 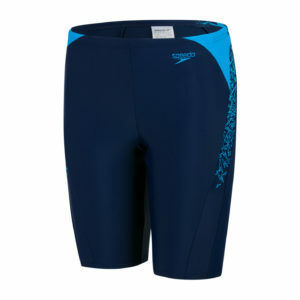 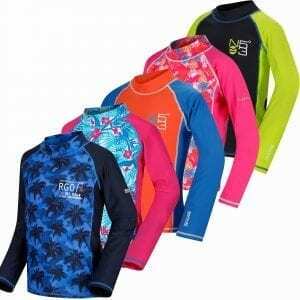 The Speedo Allover V Cut Panel Boys Jammer has a great blue bold and stylish design is ideal for lessons, training and holidays. 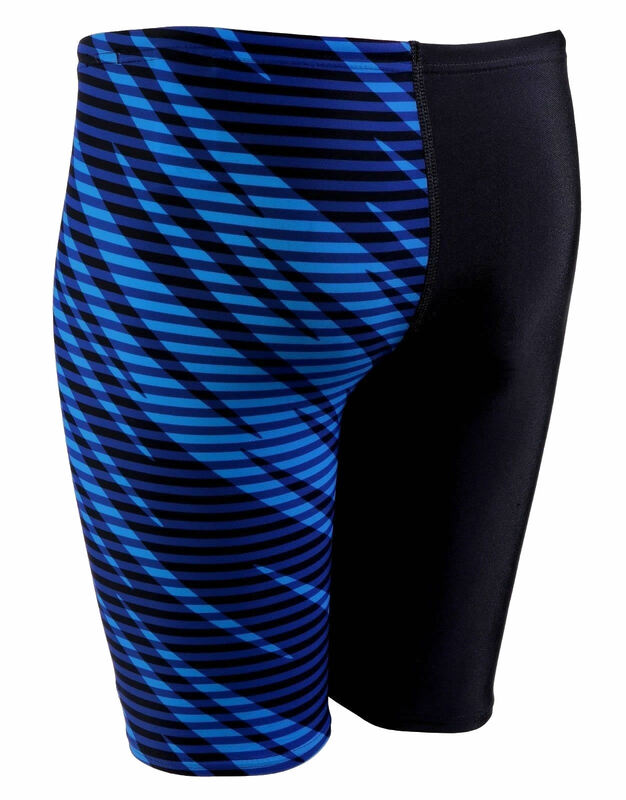 With an adjustable internal drawcord and lined on the front both giving extra comfort. 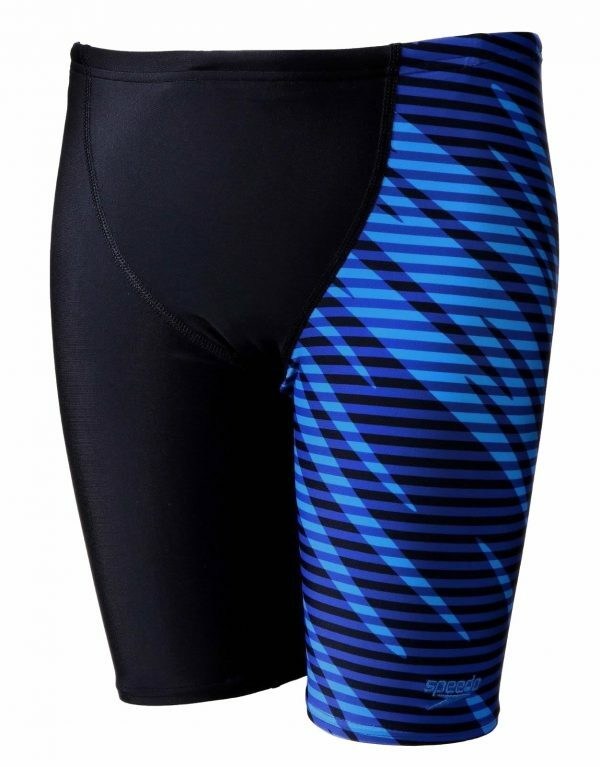 Made from soft touch, shape retaining chlorine-resistant Endurance10 fabric for added comfort and durability it will fit like new for longer than making it perfect for regular swimmers.